GARDAÍ ARRESTED FOUR men and seized a firearm and ammunition, as well as a quantity of drugs, in an operation in Balbriggan, Co Dublin today. They said that as a result of the ongoing criminal activity in the Balbriggan area, local gardaí and detective units supported by the Emergency Response Unit, carried out searches at four locations. 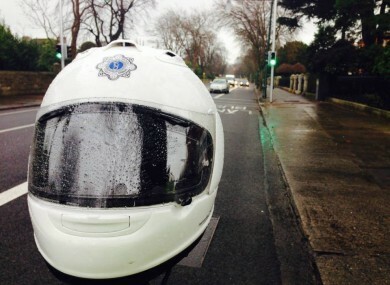 Gardaí arrested four men during the searches, and seized a hand gun and ammunition. They also seized cannabis and cocaine with a street value of €38,000. The four men, two of whom are in their 30s and two in their 20s, are detained at Balbriggan, Swords, Clontarf and Drogheda Garda Stations under Section 4 of the Criminal Justice Act, 1984. All four are due to appear at Balbriggan District Court tomorrow at 10.30am, charged with various offences. Email “Four arrested, firearm and drugs seized during garda search ”. Feedback on “Four arrested, firearm and drugs seized during garda search ”.